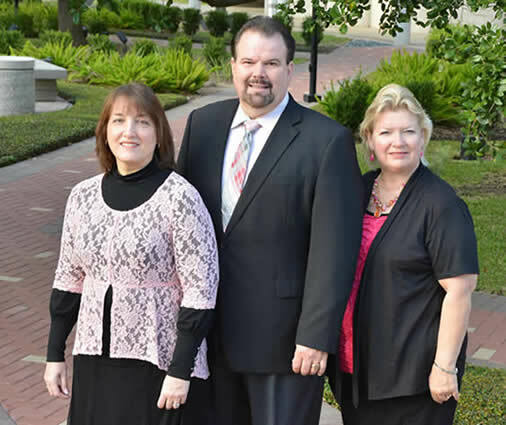 Joe Irwin, Karla Burris and Vonnie Behrend offer a unique mix of gospel music singing styles. Joe has been involved in music ministry for over thirty years. He sang and played bass with a family group called the Woodromes for many years as they traveled throughout the southeastern United States. In addition to being Godly wives and mothers, Karla and Vonnie have both been involved in singing ministries since childhood. God has gifted them as singers, songwriters, musicians and ministers. They have proven themselves to be dedicated to God and their families. Joe served as an Associate Pastor and as a Youth/Music Director. He is now serving as an Evangelist. Karla grew up in a family of talented singers and musicians. She has taught Sunday school, AWANA, and ladies Bible studies in her home church. For over thirteen years, she performed weekly at the Liberty Opry. Singing there led to many opportunities for her to sing at community ceremonies, Senior Center programs, worship services and various church functions. Vonnie has ministered in various settings such as youth and ladies conferences, churches, camp meetings and concert halls. With her husband, she has served in the mission field of Alaska and helped pastor churches. Joe, Karla and Vonnie have appeared on numerous television programs throughout the nation and have complete numerous recording projects both as a group and separately. Their ministry consists of powerful singing wrapped in the Word of God and seasoned with personal testimonies. Through the medium of song, they paint a portrait of hope for the lost, call the sinner to repentance, and encourage the Christian to service.